That little piece of paper holds a plethora of information, YOUR information. By scanning the bar code or QR code an unscrupulous person can gather personal data on you and capture your identity. 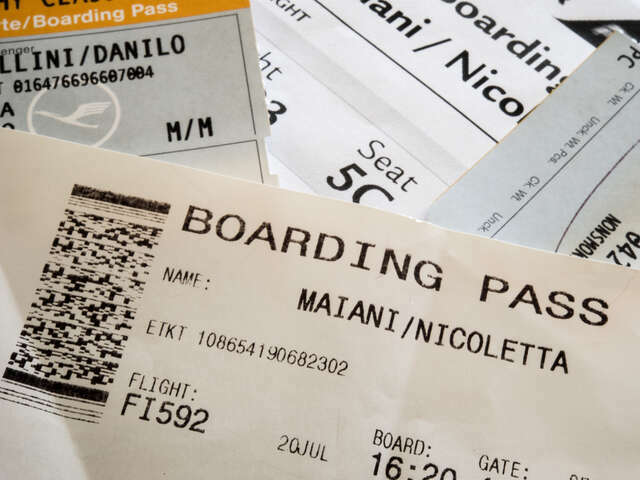 Before we depart the airport we hold on to those boarding passes like our life depends on it as we know we will not make our flight without it. But once we’ve boarded the aircraft and taken our seats many of us become careless. Some passengers place it in the seat pocket, others use it as a book mark in the in-flight magazine or we simply throw it out. After take-off many travellers don’t worry about their boarding pass’s whereabouts and why should we, it no longer holds value, right? WRONG! That little piece of paper holds a plethora of information, YOUR information. By scanning the bar code or QR code an unscrupulous person can gather personal data on you and capture your identity. Even a screen shot of your boarding pass is all that is needed. So please, whatever you do, do not post a picture to social media. That little QR code or bar code contains a vast amount of personal data including you email addresses, home addresses and phone numbers. Access to personal financial information is just a step away. Watch this short video from USA Today to see how easy it is to harvest your data.